A saccharine, sanitised story that doesn’t go anywhere near the reality of what it would be like to care for a person who is totally dependent and living at home. The acting is good, the cinematography is beautiful, and there is an inherently good story about love, perseverance, courage, and the deep desire to live life to the full. 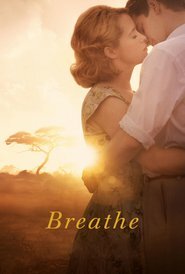 The problem is the script which tries to do, for Robin Cavendish, what The Theory of Everything did for Stephen Hawking, but Breathe is nowhere near as good as that movie. It is for the powerful performances that I have given the score I have despite its romanticised storytelling.